After successfully fighting for my child’s right to have his father, I dedicated my life to researching Family Law and developing simplified resources for fathers navigating a complex custody dispute. During my intensive exploration into the field, it became clear that there were consistent factors that Family Court judges use to determine child custody and strategies that good attorneys implemented in their cases. However, I found that a parent’s overall outcome in their child custody case was highly correlated to their ability to effectively demonstrate their position with supporting evidence. With the limited time attorneys have for each client, the biggest gap in the preparation process was a simplified guide to help parents understand the child custody factors, gather evidence around this criteria, and organize it properly for their attorney to present it at trial. 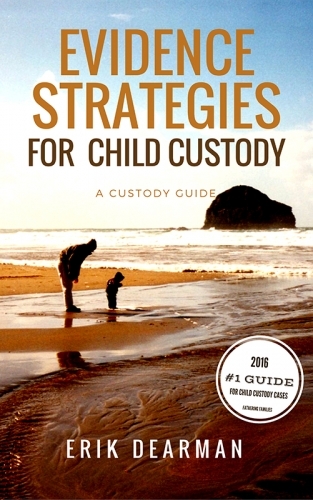 Through my interviews with attorneys, child custody investigators, consultants, and other surviving parents, I have revealed the custody factors and simplified the evidence preparation process that is vital for a parent to prevail in Family Court. For 15 years, I have served as web development consultant and worked with other authors to self-publish their books. I am a dedicated, single father and co-author of a parenting book published in 2011. I now provide coaching services to parents preparing for a child custody dispute and needing to maintain an active role in their child’s life. Contact me if you would like to share your story or send inquiries about our available custody guide books or about the development of the Fathers’ Rights Simplified book series. Sharing your insights with the supportive Fathering Families community will further educate and empower fellow fathers when navigating the legal storms or strengthening their role as a parent.